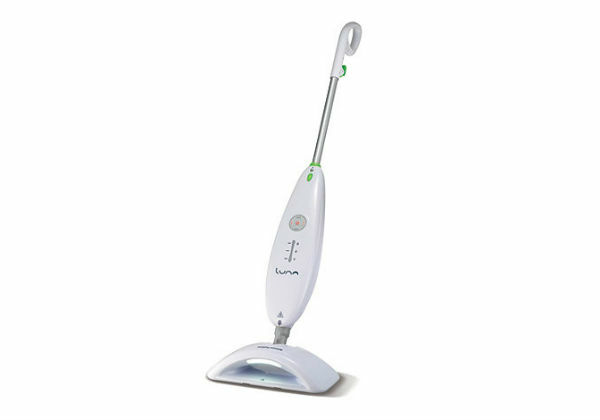 A great steam mop. 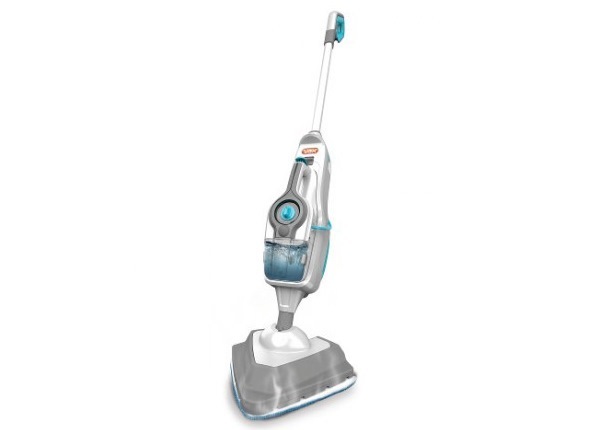 Does a really good job of cleaning hard floors and efficient at refreshing carpets and is easy to use. Buyers liked the detergent option. 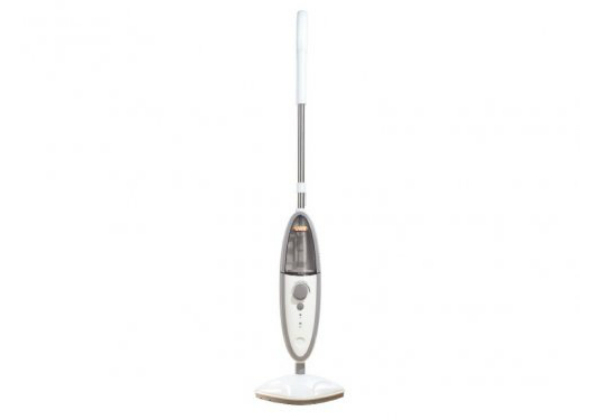 If you want a single function mop, seriously consider this one. Highly recommended. 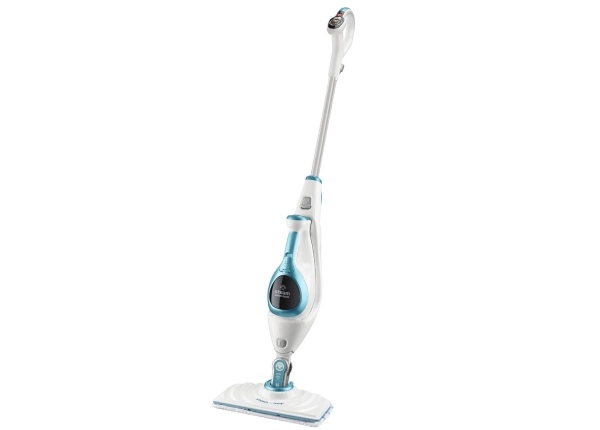 This is a great single function steam mop. 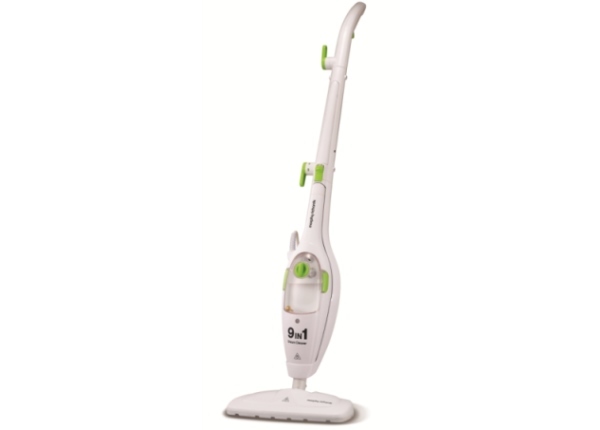 It has excellent cleaning power on hard floors and is good for refreshing and sanitising carpets. You can see why Which Magazine gave it ‘best buy‘ status. 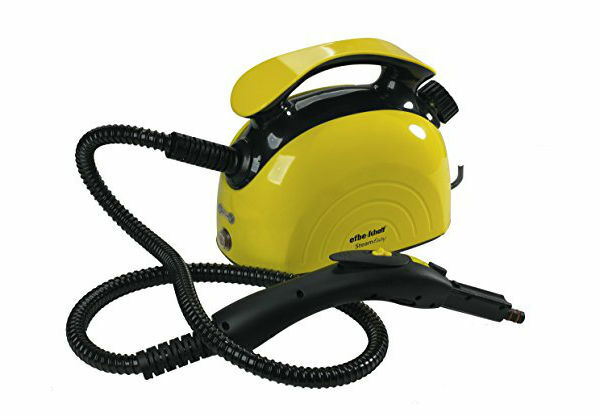 The model has two tanks, one of which can be filled with detergent, which boosts the steam cleaning power. The detergent option should only be used on hard floors and not carpets. 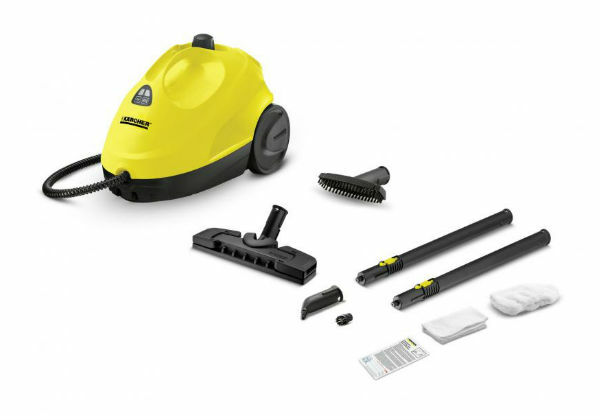 Cleaning power on hard floors is generally agreed by users to be brilliant, tackling stains and dirt on laminate, tiles, wood and vinyl with ease. Customers found that it provided a streak free finish. The three sided mop head gets right into corners and the removable mop cloths wash well in the washing machine. 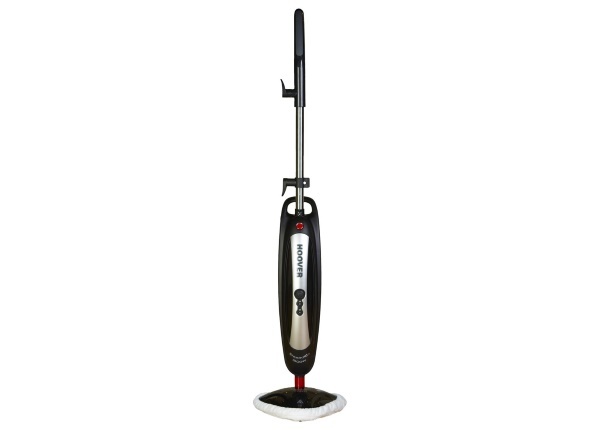 The machine is generally agreed to be lightweight and easy to manoeuvre, but sturdy. It is described as refreshing carpets, rather than deep cleaning them, but customers found that it did a reasonable job on dirt marks on soft floors. Some people reported that it left the floor a little wet, but this may be a result of user technique, as the steam is released via a trigger and if the same area is gone over too much it can lead to over-wetting. The trigger has to be held down to release the steam and a minor complaint was that this can be a bit uncomfortable after a while. The two tanks are removable, for ease of refilling over the sink and tap water can be used. 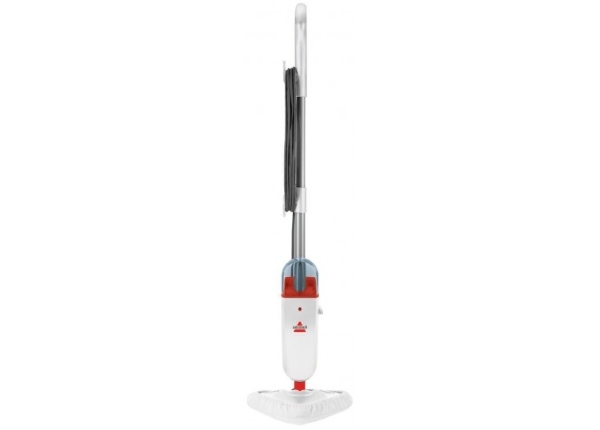 The mop heats up in 40 seconds and produces a good, consistent quantity of steam for about 15 minutes. The manufacturers say that it kills most known household germs. It assembles easily and stores away without taking up much room. 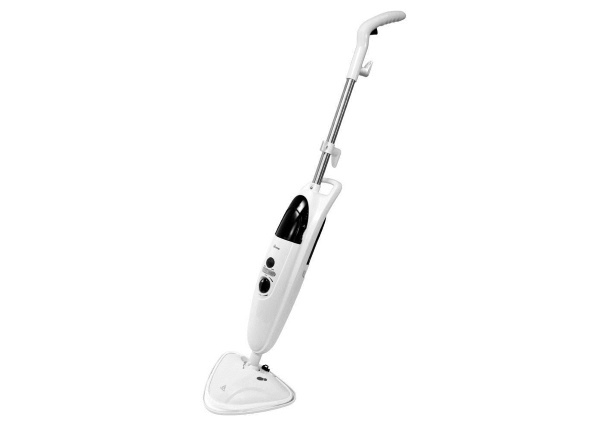 This model is available in white and another model is available in black, under the Abode label. Want to see it in action? Check out the manufacturer’s video below. If you want to read more buyer reviews click the blue banner under the video.